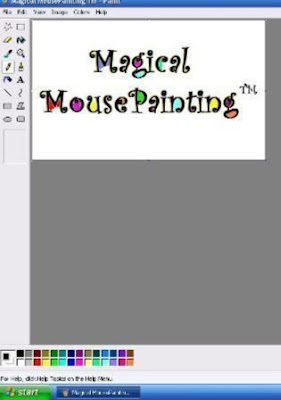 This site is an extension of Magical MousePainting™ book and workshops. From time to time, my new MousePaintings™ are added here as well as those of my workshop participants and readers. News, new challenges and discussions are also posted. Enjoy visiting: explore, participate - and comment. To share your own Paint application creations online, contact me . Please include your full name and email address so I can reach you. "Celeste Loves David"; "Wildflower" by Hainny; Selena #1, #2; "Gravenhurst Abstract" by Sondra; Sandy Tobias Offenheim: "Another Fish", "Words", "Primary Colours", "Untitled"
· Magical MousePainting™ provides a marvelous intergenerational activity for parents, children and grandparents and is suitable for novices to experts, from ages 5 to 95. · The Paint application is already pre-installed on most computers.